Very Good. 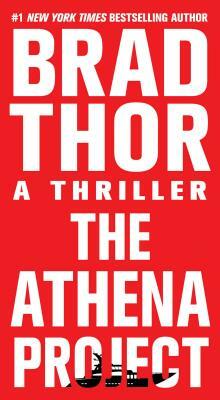 The Athena Project (Scot Harvath) by Thor, Brad, 2011-10-18. Mass market (rack) paperback. Glued binding. 398 p. Scot Harvath, 10. Very Good. The Athena Project by Thor, Brad, 2010-11-23. Sewn binding. Paper over boards. With dust jacket. 324 p. Scot Harvath, 10. Good. The Athena Project by Thor, Brad. Sewn binding. Paper over boards. With dust jacket. 324 p. Scot Harvath, 10. Good. 1439192979 Ships from Tennessee, usually the same or next day. Another can't put it down novel by this author. He matches his previous novels for suspense and seemingly authentic background information.